In the late 1980s a group of visionaries came together with the idea of revitalising a large swathe of the Midlands that had been decimated by heavy industries. Daniel Small, Woodland Management Officer at the National Forest, looks back at how a forest was created. Spurred on by public support, the Countryside Commission selected an area spanning Derbyshire, Leicestershire and Staffordshire, and drew up a plan that would breathe new life into these 200 square miles that sit in the very heart of England. The plan was to create a forest. It’s just over 25 years since the first saplings were planted on a cold winter’s day. Today, we have more than 8.5 million trees, growing stronger daily. But the planting of trees is only part of the story that makes the National Forest a shining example of how to regenerate land and manage woodland. In 1991, less than 6% of the area was covered by trees. Today, it’s 20.7% – that’s double the average for England. Planting millions of trees has reconnected the landscape, restored wildlife habitats and created a new sense of place. In an area that was formerly reliant on coal mining, clay extraction and other forms of heavy industry, it took a leap of faith to see how this scarred land could support a woodland and leisure economy. 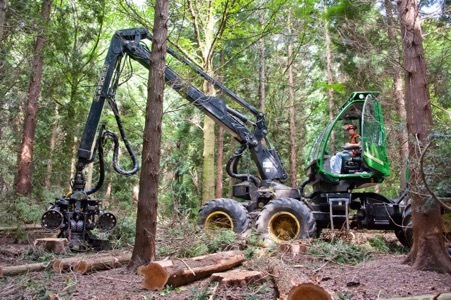 But with woodland management now taking place, farming businesses diversifying and new visitor attractions moving into the area, the economy is burgeoning with new jobs and rising property values. The establishment phase has passed for many areas in the forest and there is an increasing need to begin managing the woodland, to ensure that the trees continue to grow into a resilient habitat that can deal with climate change, pests and diseases. 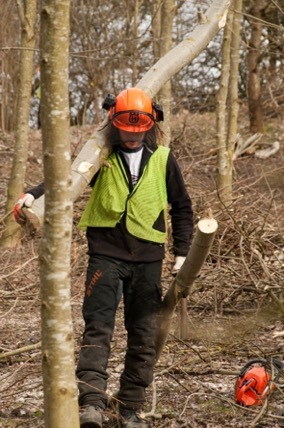 The National Forest Company provides advice and grant funding to private and public woodland owners within the National Forest, on how to manage woodland to meet economic, environmental and social objectives. The National Forest has shown how a healthy environment can stimulate economic growth and regenerate communities. From that simple idea of using tree-planting to revitalise an area, we have created a template for others to follow. What is breath-taking is that in 25 years, all of this has been achieved for the same cost to the public purse as building two miles of your average three-lane motorway.